From a hobby popularized during the early 2000s to one of the most desirable careers of the 2010s, blogging has opened up so many opportunities for people to earn money online. Today, a lot of blogs are created as businesses, with making money through blogging being one of the goals from the start. The opportunities depend on the type of blog, the language you write in and the audience you are targeting. However, there are a couple of commonly used tactics to make a living through blogging, which are the ones you should explore first. Blog monetization tactics enable you to cash in on your blog popularity in multiple ways. When you first start blogging, these might not seem as profitable, but the number of visits is crucial for the success of these tactics. The more visitors you can attract, the more likely you are to earn money from these tactics. Affiliate marketing is a very popular monetization tactic for bloggers who do not have products of their own to sell. Instead, they recommend and link to the products on third-party websites in exchange for a percentage of the sale. In affiliate marketing, there are two roles. Merchants, i.e., those who own the product or service that is promoted and affiliates, who promote those products or services. Bloggers are affiliates. They join an affiliate program, obtain affiliate links and promote them through the blog content. Once the blog visitor clicks on the affiliate link, this is recorded using cookies. This way, the blogger is attributed the conversion, and the merchant then pays out the agreed commission, which is a percentage of the sale price. In this case, the blog visitors do not have any additional cost. The blogger’s income is based on the profit shared by the merchant in exchange for the promotion. The idea with this blog monetization tactic is to create a blog post which will promote a particular business, product, or service. You as a blogger will receive an agreed commission for this post. Bloggers usually choose to include a disclaimer within the post notifying the readers that the content is paid by a specific brand featured in the post. However, this is not obligatory. 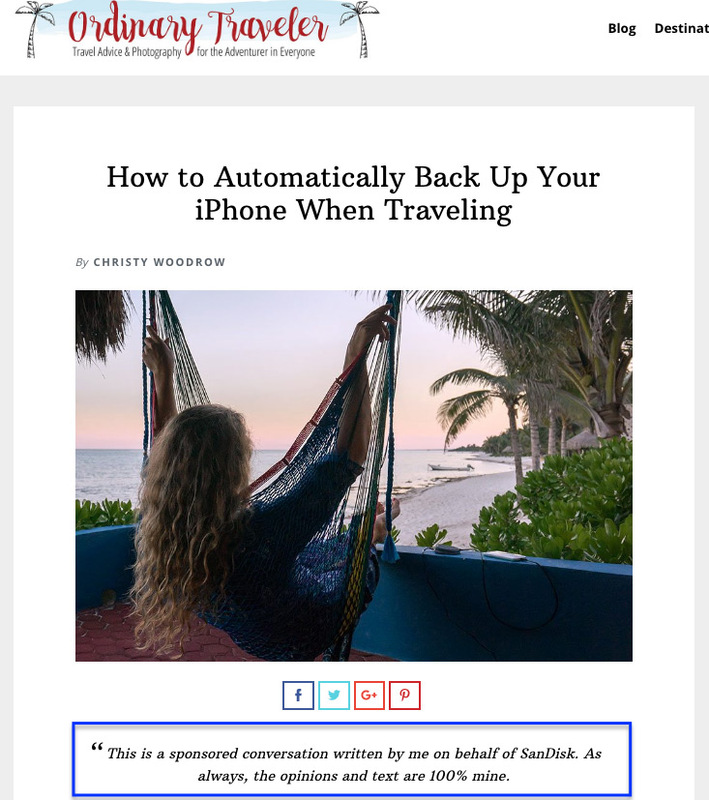 There are a lot of opportunities when it comes to blog monetization through sponsored posts. Bloggers usually have fixed rates for a sponsored post, and they often prefer writing the content themselves. Still, the blogger and the brand can agree on different terms. For example, the brand might provide content or have a say in the content created by the blogger. Or instead of monetary compensation, the blogger can be given the product or granted free access to the service. This type of post is very popular among travel bloggers who receive free accommodation in exchange for a post on their blog about the accommodation in question. Each sponsored post has a link back to the website where the product (or service) can be bought. Unlike affiliate marketing, where the clicks on the links are tracked, based on which the commission is paid out, with sponsored post it is irrelevant whether the readers will click the link or not. The blogger is paid for the actual post with the link and the content about the product (or service) that is promoted, regardless of the number of visits and conversions. Once a commonly used way to earn passive income through blogging, AdSense is not the most profitable strategy at the moment, but still offers a chance to monetize your visits by including ad space on your blog. It is a service offered by Google, which means that companies that want to advertise with Google AdWords program are the advertisers who will bid for the space on your blog. The ads are displayed for both desktop and mobile users. 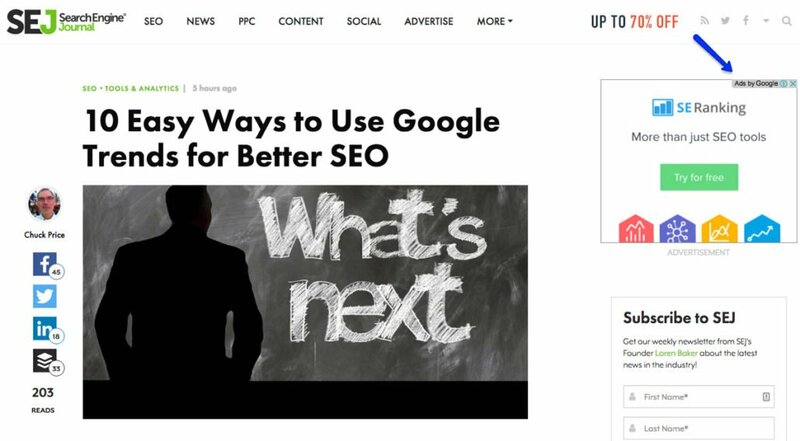 Google uses complex algorithms to determine which ads will appear to your blog visitors and when. Since the system is designed to maximize profit, it will automatically select ads that are most relevant to your visitors, ensuring the highest conversion rate. 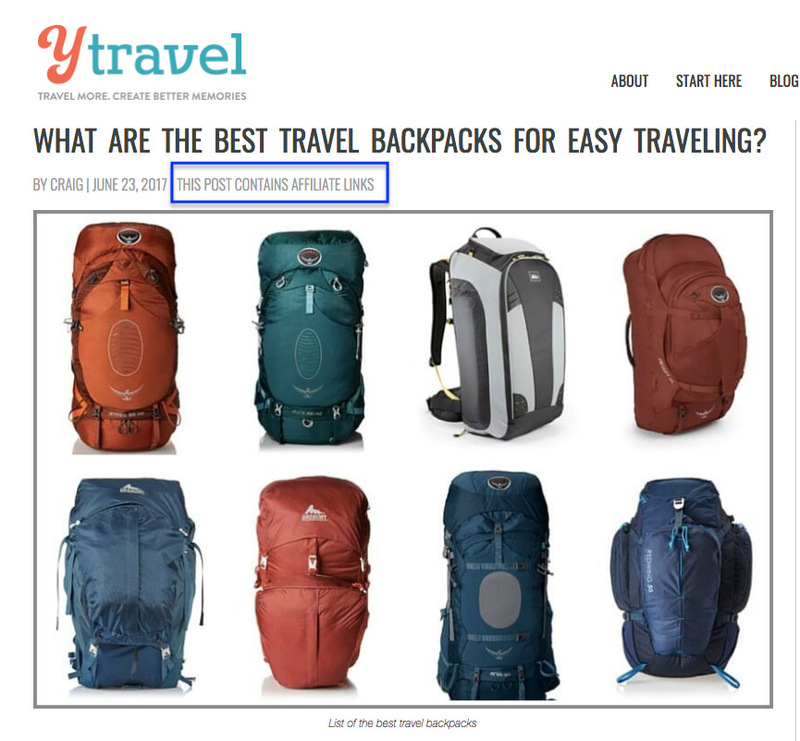 You do not have a direct say in which ads will be posted on your blog and which will not, however you have the option of selecting and deselecting ads based on categories (more on this later). Joining the AdSense program allows you a certain level of control. 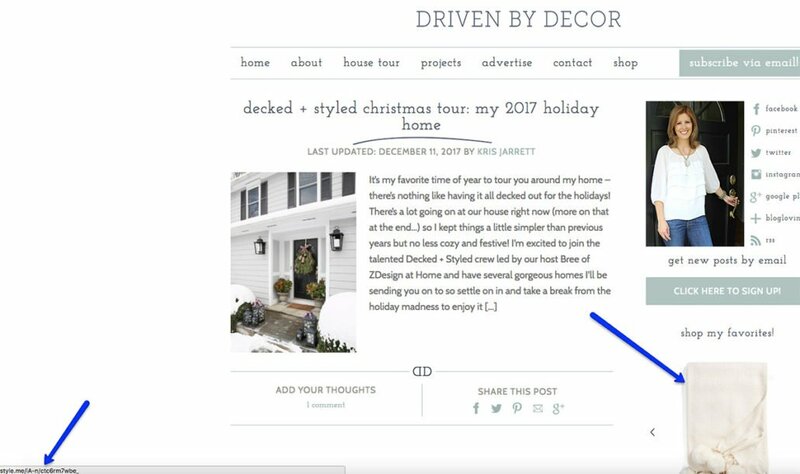 You choose where the ads appear on your blog, and you format the style of the ad to match your blog. You can choose categories of ads you want to allow on your blog. You can even block the ads you do not want your visitors to see. You earn money when the ads are seen or clicked, depending on the type of campaign. Payments are sent once you reach a minimum amount, which is determined by the reporting currency. You can monitor earnings through an app which includes alerts, performance reports, etc. Another way to use blog space to earn money is to offer a banner space for sale. In this case, you get contacted by companies interested in having their banner placed on your blog in exchange for payment. This type of advertising is similar to AdSense visually. Both have a banner displayed on your blog. The main difference is that AdSense offers dynamic ads which constantly change. Also, the amount of profit earned this way is cumulative. On the other hand, when you sell banner space on your blog, you will have the same banner displayed all the time during the period the contract between you and the company is active. The same banner will be shown to all the users at any moment they visit the blog. The banner can be featured on the home page, on specific blog pages, or even on all blog pages. In terms of income, you earn a fixed income from the company interested in advertising this way, usually paid in advance. Another alternative is to have a banner which will also feature an affiliate link. In this case, you would earn through affiliate marketing, but instead of a text link, you will attach the link to the image. With both Google AdSense and banner advertising, it is helpful to place the ad in a position that will attract the most views/clicks. This is why banners are usually placed strategically, often below the main menu and before the blog content. You can always experiment with placing the banner in different locations on your website, to see, which position converts the best. This is how you can earn with email marketing. It all starts with your blog. You will need some original content of high quality that will attract your readers. They will then sign up for your newsletter. Besides a signup button, you can use other lead generation strategies, such as free download, organizing a giveaway, etc. Once you have the email addresses of your blog visitors, this gives you a chance to create a more personalized approach with them through emails. Becoming a respectable sender means that your blog readers are likely to open and read your emails. This means that you can reach them. Have in mind that each person sends and receives more than 200 emails per day (Source). It is difficult to reach email recipients. The more success you have at this, the more profitable your email marketing strategy will be. Email marketing is connected with blogging in the sense that you generate email addresses through your blog. Blogging helps you create a base of subscribers, and this is where the blogging strategy ends, and email marketing begins as another segment of marketing allowing you to reach and convert online users. All of the previous monetization tactics rely on the promotion of other businesses. While this type of income collection offers a lot of benefits as you do not need to have any investment or be involved in the production process, it comes with some drawbacks as well. Firstly, you depend on other businesses. Once they stop selling, you stop earning. The income you can make is also pretty limited. You will need thousands and thousands of visitors to see any income from AdSense for example. This can become a real obstacle for blogs that are starting out. An alternative is to try to turn your blog into a business. This can be implemented from the first day your blog is live, but it can also be something that you will eventually introduce, once you gain reputation and determine that blogging is a career that you want to focus on. The first idea is to create a product (or software) on your own. Even though it is not a strategy doable for every blog, it is something that can offer a potential to earn a decent income through blogging. The product you decide to create should be relevant to your target group. The main obstacle could be an investment needed for creating the product. The possibility to fully control the production process and sales strategy, without profit sharing is a motivation for many blog owners to consider this strategy. If you cannot create a product and you are in a niche where that would not be profitable, you can think about a type of service you can provide. It is usually something related to consulting, offering professional assistance, such as legal or medical advice, etc. Again, having complete control over the service is something that ensures that the blogger maintains independence while having an opportunity to earn from his or her online influence. Unlike creating a product, offering a paid service on your blog does not require a monetary investment. What it does require is detailed planning about the service you will offer, the terms for the users and the schedule of your availability (or an employee who would do the tasks for you). The third alternative would be creating merchandise. This is a strategy commonly used by influencers who have a significant following. It is also rather popular among young online users. A good thing about this strategy is that you offer creative input on the merchandise design, but you do not have to be responsible for the actual production. Instead, you hire a company who will manufacture the actual products for you with your logo or brand name displayed. Of course, in this case, it would be necessary to share the profit with the manufacturer. Having in mind that you are a blogger, it is safe to say that you are a writer as well. You write on your blog which means writing an ebook (or an actual book) can be an option you can pursue to earn money from your blog. Publishing an ebook is much easier because you do not need to seek official publishers. Also, an ebook is offered as a digital download, which means that the location is not a barrier. Publishing a book involves a more complicated process, starting with having a publisher. Still, both options are great ways for bloggers to turn their skill and love for writing into a product that they can sell through the blog. Your blog can gradually evolve into an online store. Here you can sell your own products, merchandise, or even products from other manufacturers. It is a strategy that offers a lot of options for many different types of bloggers to earn by selling products. However, running and managing an online store involves a lot of work, requires extensive knowledge about e-commerce and requires constant online promotion, which are all the tasks that can distract you from your primary focus, i.e., blogging. If you are a blogger, expert in a certain field, creating an online course is another strategy to monetize your expertise and online influence. The topic of the course needs to be something that your audience will find relevant and can benefit from. It is a form of passive income because you will invest time into creating a course and then you can profit from it in the years to come. However, some topics might require the course to be updated from time to time. You will also need to work on promoting the course, most commonly using other online marketing strategies, such as search engine marketing or social media promotion. The strategies above offer multiple ideas to turn blogging into a business and earn from it. Still, there are a couple of tips to help you boost your income, regardless of the strategy you choose for blog monetization. When you think about the best way to monetize your blog, think in the long run. Consider how you want your blog to grow and evolve, to make sure that this monetization tactic is really the way to go forward. For example, you should not use a sponsored post strategy to promote an ebook about your niche if your long-term goal is to write an ebook yourself. Additionally, expecting a windfall, months after you start a blog, is usually unrealistic. As you probably already know: “Rome wasn’t built in a day”. Bloggers often need time to generate visits, to gain influence and to eventually turn that influence into income. Hence the need to consider your long-term strategy. There is no rule saying that you can only use one monetization tactic. Instead, consider all of the strategies you can benefit from. What is crucial when selecting a monetization tactic is profitability. 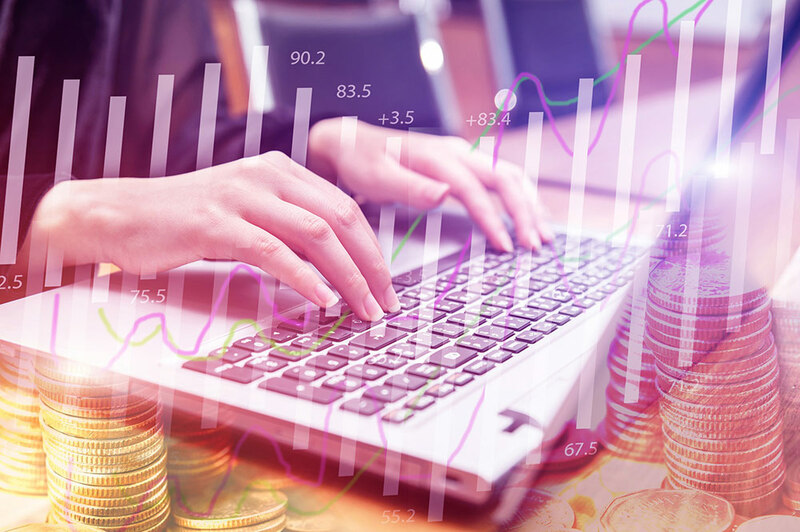 If you realize that several monetization tactics can be profitable, test them all and select those, which give the best results for maximizing your income through blogging. Just like with creating blogging content, choosing a niche of the products you promote is very important. It gives you a better chance of tailoring your content to your target group. When you use monetization tactics, make sure you only use those that enable you to stay in your niche and keep targeting your blog audience. Relevant products or services you are promoting have more chance of converting your visitors and thus earning you profit. Building a community is a very important step in defining your online influence. A community is more than just blog readers. Those are the readers that are genuinely interested in your content, they respect you, and they take the time to participate in the community. They are also the highest-converting visitors, helping you increase your profit through different monetization tactics. Building a community starts with your blog, but other platforms can be used for interaction as well, such as a comment plugin, Facebook groups, emails, live chat sessions, etc. Community access can be free, with an option to promote content and products to members. Another way to monetize the community is to create a premium club. The users will have to pay a membership fee to join, after which they get access to specific perks, such as consultation, exclusive materials, downloadable content, discounts, etc. It is important to have in mind that each of these monetization strategies requires time to plan and implement. Although this is a necessary step, it is not something that should disrupt your blogging strategy. Also, you should not overwhelm your readers with selling all sort of things and a ton of promotional content. They are your blog readers (and supporters) first, and then your customers. Still, monetization tactics are an essential part of blogging because they enable bloggers to earn their living through blogging and focus all of their time on their blog. They can quit their job that was supporting them as soon as the blog’s monetization tactics can replace this income. This gives more freedom to bloggers and an opportunity to turn blogging into a full-time, profitable career.